Several avenues and professionals people are available to help with this conservative treatment. People who are physically fit usually suffer less back pain, and recover from injuries more quickly. 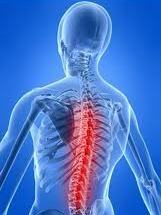 The muscular supports of the spine are crucial to maintaining good function and stability of the back. 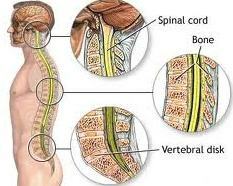 With ageing, injury or underlying spinal problems, the back muscles can easily become weakened, lose tone and are quickly tired. It’s known that poor muscle condition can in itself be a cause of disability and pain. Bed rest for more than one or two days can delay recovery and slow progress, as it results in joint mobility loss and deterioration in physical fitness. A programme should include specific exercises to help your condition as well as to strengthen your back, leg and abdominal muscles. If you have pain during the exercise, it may mean you’re not doing it correctly or that it’s not suitable for you. Talk to your doctor or physiotherapist. Walking, swimming and riding an exercise bike are good ways to improve fitness, but always seek professional advice, as some may aggravate back problem (for example, some swimming strokes). How to cure Wrist Bone Fracture? Trapezium bone accidents are unusual carpal bone accidents. They can either happen in solitude or along with other carpal bony injury. This accounts for 1 to 5 percent of wrist fractures. It could be isolated fracture or dislocations. Fall on an outstretched hand. Direct blow over the dorsum of the hand. Dislocations: This could be dorsal, palmar or radial and may be associated with fracture of the scaphoid and trapezium. Plain X-rays though useful are not reliable. CT scan is a better option. Undisplaced fracture: Thumb spica for 4 to 6 weeks. Displaced fracture: Open reduction and rigid internal fixation is advised. Dislocation is treated by open reduction and K-wire fixation.